Have a taste of the old days in Thailand when you shop from vendors on boats and by the riverside in these interesting floating markets. 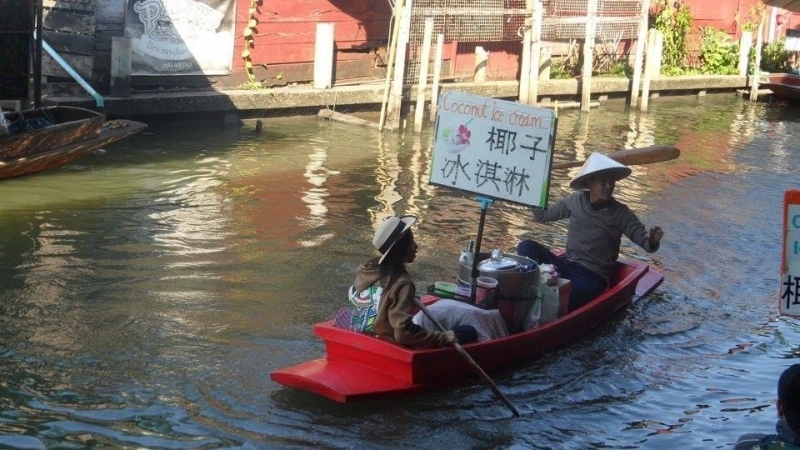 Take to the waters and shop differently at one of Thailand’s exciting floating markets! 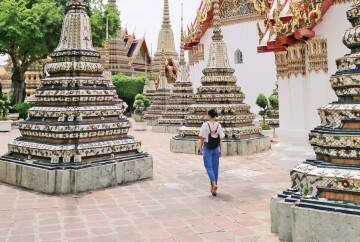 With numerous markets and shopping malls, there’s certainly no shortage of places to browse and shop in Thailand. How about adding something different to your retail therapy? 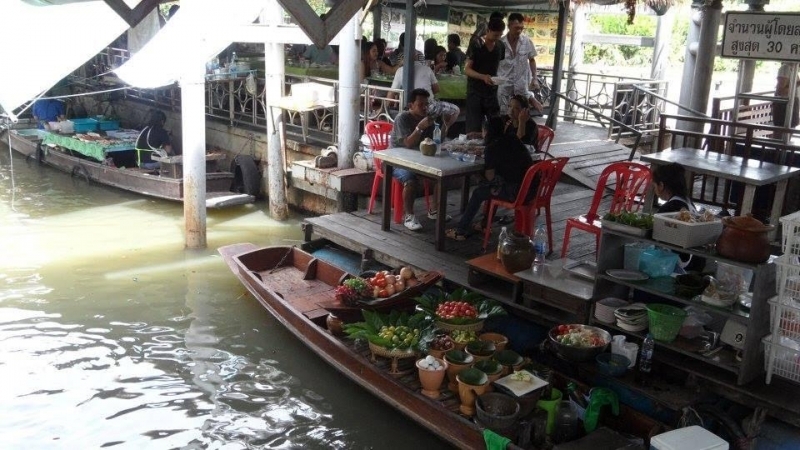 Plan a trip to one of the country’s interesting floating markets for a different shopping and dining experience. 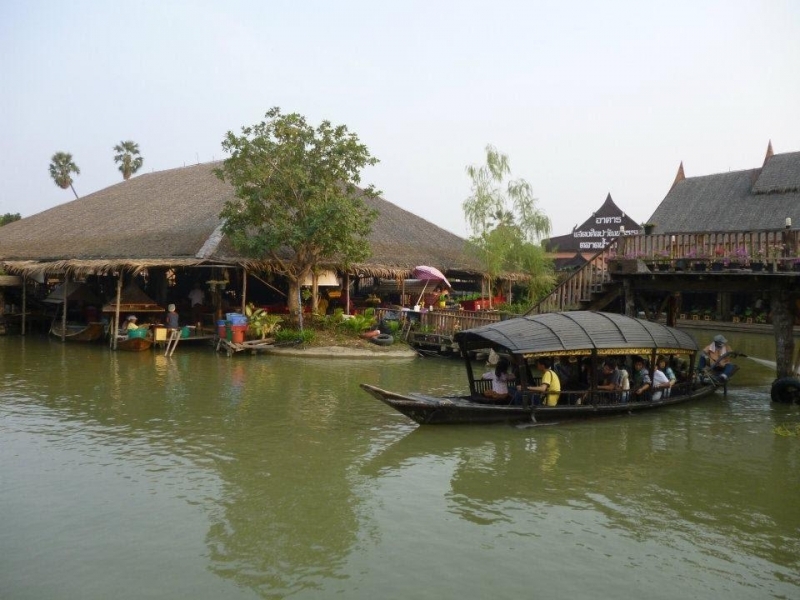 Damnoen Saduak Floating Market, located in Ratchaburi Province, is within easy reach of Bangkok. 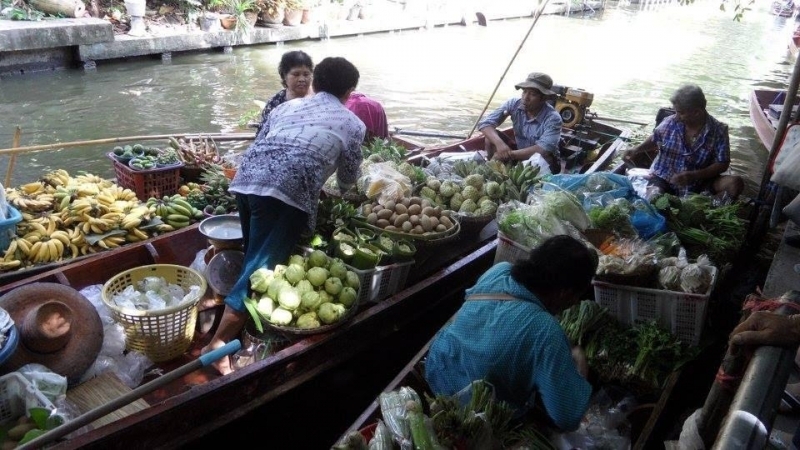 The large market is the most famous and popular floating market in Thailand. 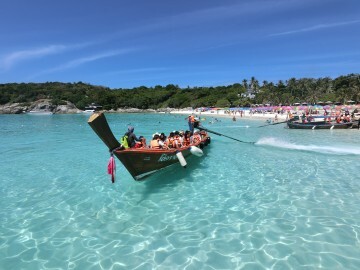 You’ll need to get there early for the best views and to experience the market before the waterways become clogged with tourist-laden long tail boats. There are many stalls and eateries alongside the water, and several bridges span the canal to allow visitors to easily enjoy both sides. Vendors row to the market from the nearby small canals, their tiny boats loaded with a variety of goods. Some sellers cook food on their boats, ready to feed the hungry crowds. 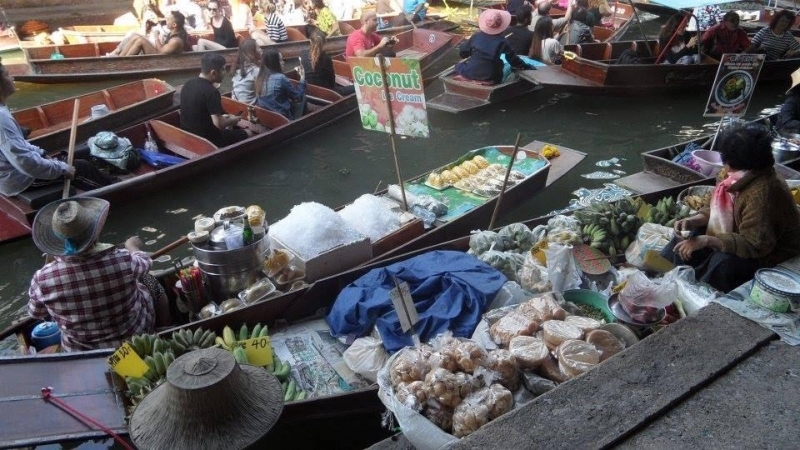 From pad thai and stir-fry foods to fresh fruit and ice cream, there’s something special about buying food from a floating vendor! Boat trips are available too, though do be aware that you’ll likely sit in water-based traffic for a long time without moving anywhere fast. Walking really is, in my opinion, the best way to enjoy this market. One of the closest floating markets to central Bangkok, Khlong Lat Mayom is a lively place with a handful of boats on the narrow waterway. There may not be many floating vendors but the vibe is authentic and you can still get the full floating market experience. Some boats have a colourful display of fresh produce while others offer freshly cooked meals. 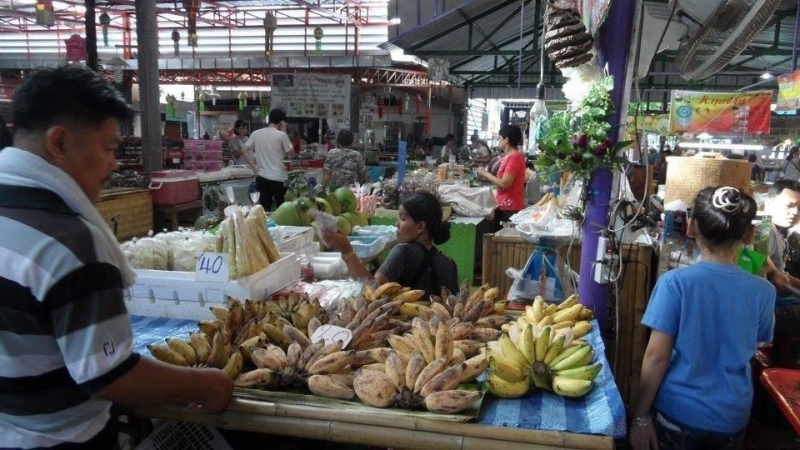 There’s a large covered market next to the river too, known for its wide array of meals and snacks—don’t fill up on a big breakfast before coming here as you’ll be sure to want to try some of the tempting dishes! 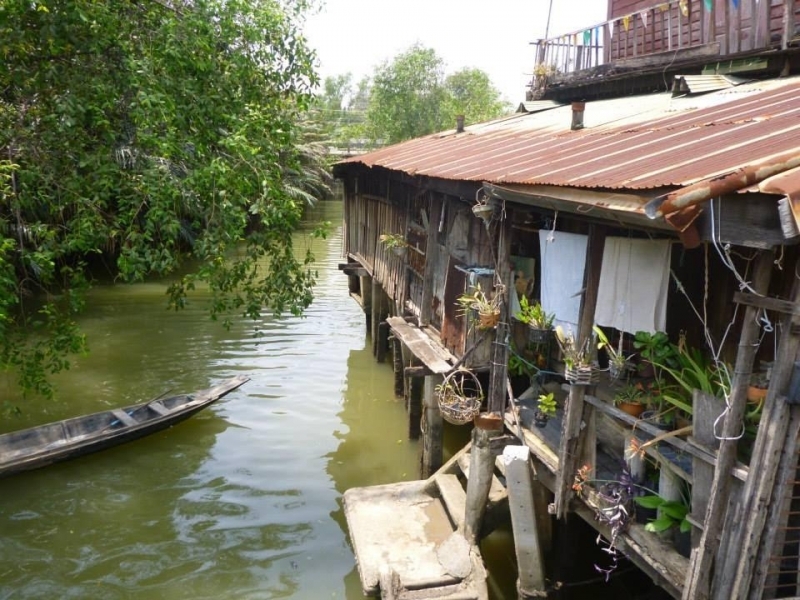 Amphawa Floating Market is located in Samut Songkhram Province, just a short drive from Bangkok. 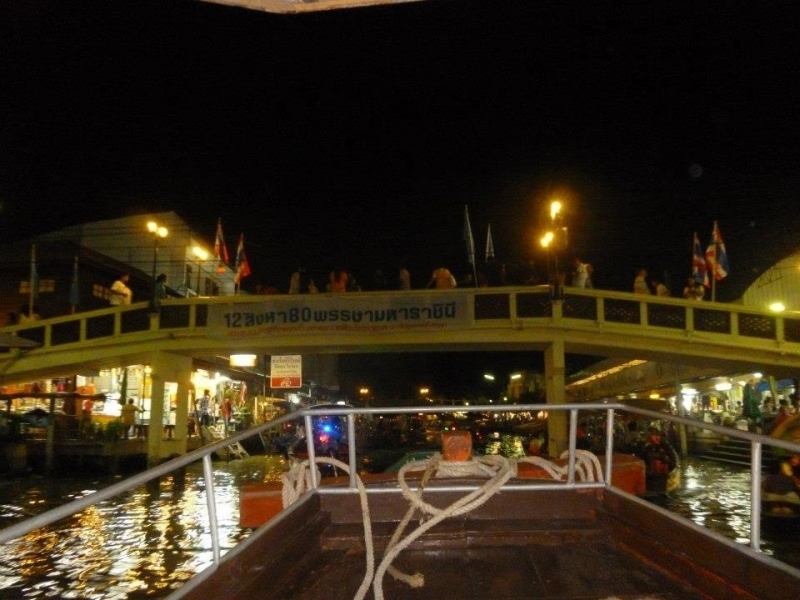 Unlike the country’s other floating markets, Amphawa is best experienced in the evening. 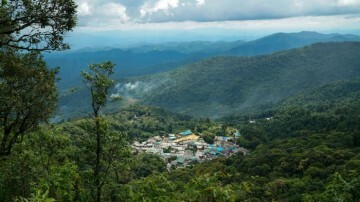 Popular with Thais and foreign tourists alike, it is a great place to enjoy dinner with a view. 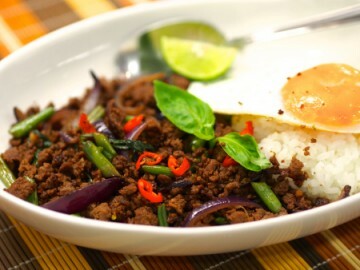 There are meals from all around Thailand and you’ll also find a great selection of clothes, souvenirs, and other goods. There’s a good number of floating sellers as well as shops at the side of the water and boat trips are a pleasant way to soak up the energy. Take a trip along the river and look out for fireflies lighting up the skies. A purpose-built tourist attraction in the ancient city of Ayutthaya, Ayutthaya Floating Market mainly consists of shops alongside the water. An assortment of goods is available to buy from cute wooden shops built alongside wooden walkways over the water, and there’s a fairly large seating area surrounded by several restaurants and cafes. There are only a few sellers in boats, most of whom cook traditional Thai dishes. 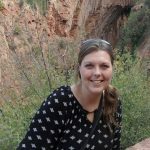 You can hop in a wooden boat for a ride around the market, and activities such as hand-feeding sheep and petting rabbits add to the diversity. 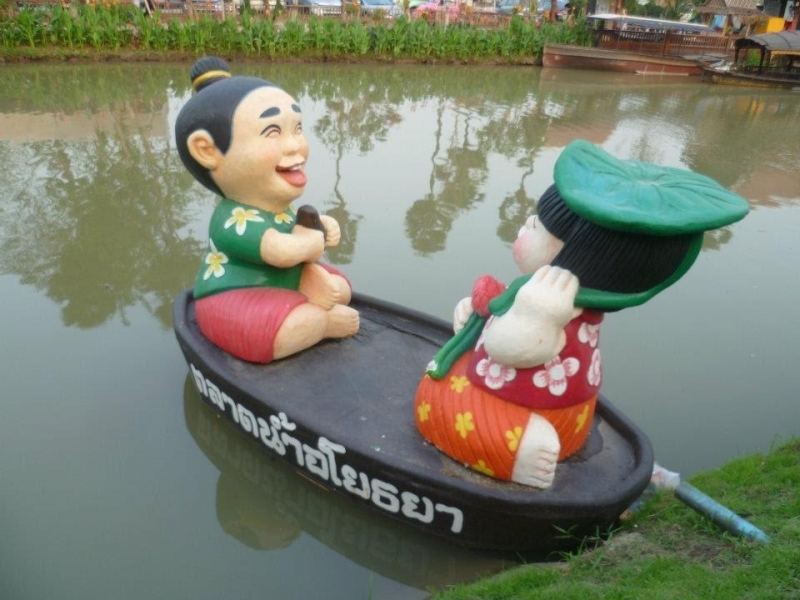 Pattaya Floating Market is the biggest such market in Thailand. Spread over several zones, it was purpose built as a tourist attraction. Also known as the Four Regions Market, you’ll find anything and everything here that you may possibly want or need! There are also many food vendors to keep hunger at bay. 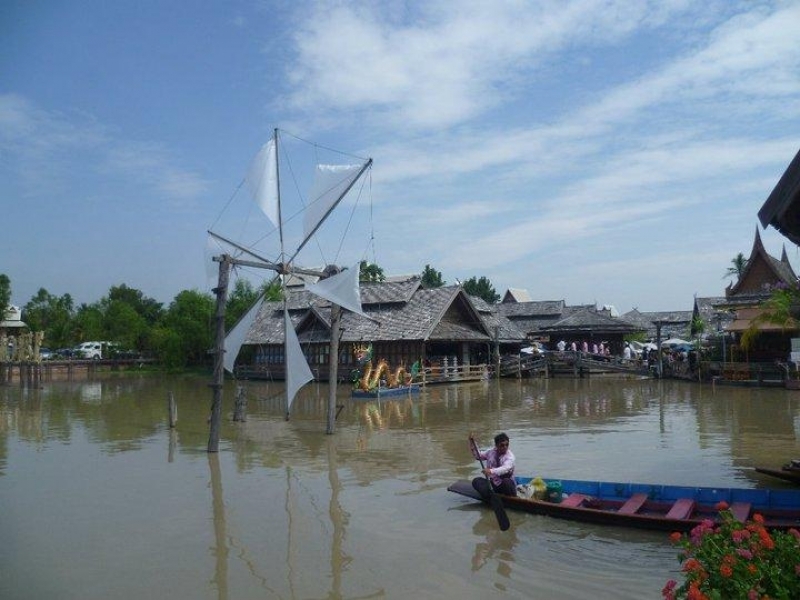 Walkways and traditional-style shops are built over the water on stilts and when you get tired of exploring by foot, you can take a leisurely boat ride. There are some floating vendors too, selling to people both at the water’s edge and in boats. The market also features cultural shows and interactive workshops and demonstrations to teach people more about Thai life and traditions. Taling Chan Floating Market can be found in the greater Bangkok area and it’s easy to reach from the city centre. My personal favourite when it comes to floating markets, Taling Chan is busy enough to feel lively, yet not so touristy that it has lost all authenticity. There’s a good number of boats with an array of edible items, fresh produce, flowers, and trinkets, and there’s also a large water-side market with even more offerings. There are many places to sit and tuck into a feast too. A plus point about visiting this market is that you can also take boat rides around the small canals (known locally as khlongs) to see a different side of the Thai capital. Klong Suan Roi Pee is a historic market in Chachoengsao. 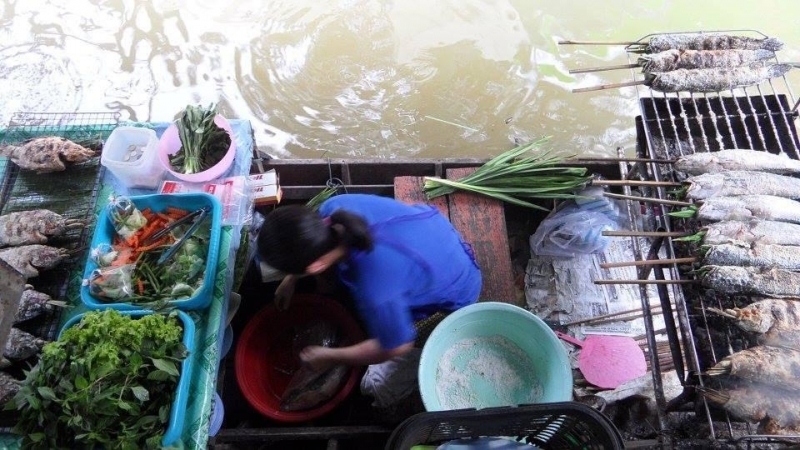 Although not strictly classed as a floating market, the charming riverside market does attract a few vendors in boats. The century-old market features quaint wooden buildings in a traditional style, with some parts built on stilts right over the water. Atmospheric and bustling, the market has a range of meals and goods to tempt you. 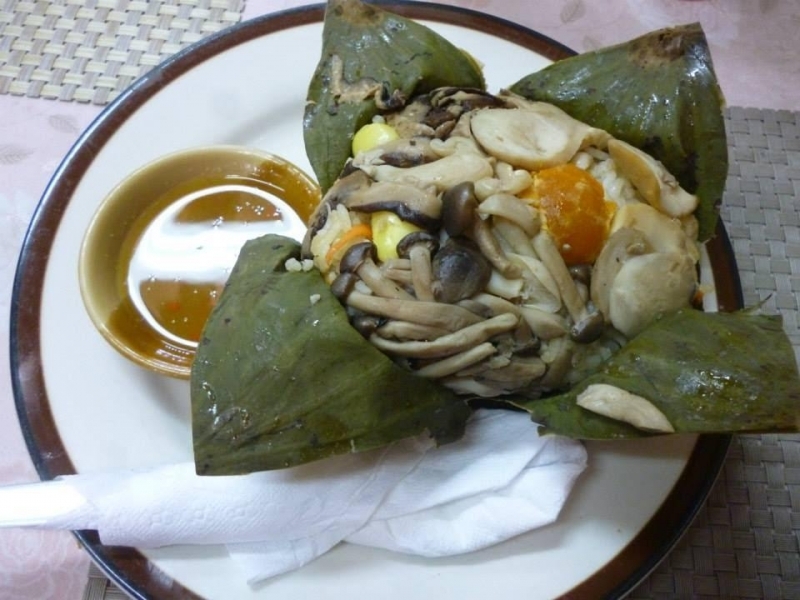 Some dishes are difficult to find in other places, so be sure to tuck in and enjoy! Go ahead and experience a small slice of the Thailand of yesteryear with a trip to a picturesque and interesting floating market.